Cool jazz weaves through the room as I sip a pretty cocktail with house made tinctures and infusions. As my back sinks into the soft leather seat, I study a menu with large clean print. A server comes by and gently places a basket of warm bread at the table. I smile inhaling the aroma of baked wheat and melting sweet butter. Then sizzle and fire flash into the room from the open kitchen. I am happy and become happier when I take my first bite of a summer tomato salad garnished with basil leaves on fresh Burrata. When my husband and I discovered Mas Taco in Red Lodge, we were transported to a former life in San Diego. The food at this small taqueria created by Chef Michael Muirhead reproduces the fresh and flavorful cuisine found in small eateries north of the Mexican border in California. Chef Muirhead makes everything from scratch. Corn tortillas are hand pressed from masa dough with salsas chopped and assembled in house. “We do every taco to order, with tortillas hand pressed to order no matter how busy it is,” Muirhead shared. In a strip mall right off of Grand Avenue in midtown Billings is Fancy Sushi Asian Fusion. This restaurant offers over 259 different menu items from Japan, Thailand, China and Korea, bringing a sampling of Asian cuisine to diners. Fusion food combines ingredients and flavors from Asia with American touches. Already featuring sushi, sashimi, curries, noodles and stir-fries, the restaurant recently offered the option of Korean Barbecue, the first in Montana. Once again, the Montana State University Billings Foundation Wine and Food Festival raised scholarships for students. 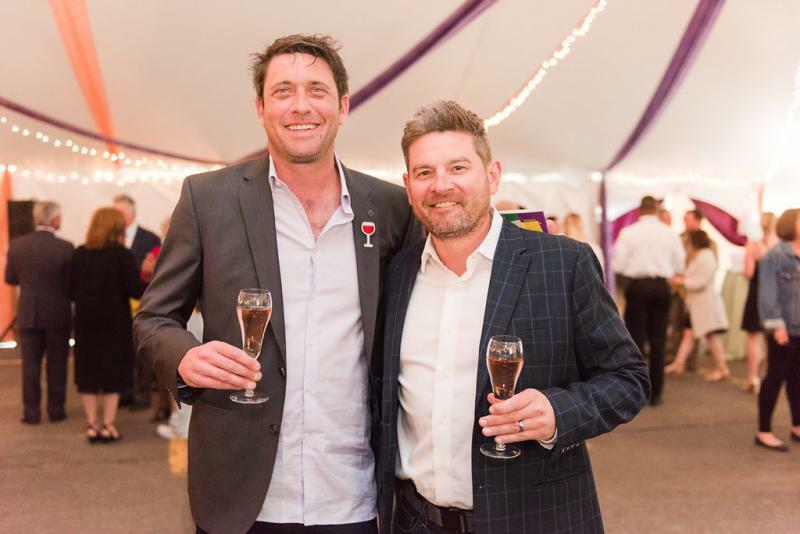 This year Chad Johnson of Dusted Valley and Jeremy Leffert of Rabble Wine Company were the featured winemasters. They came into the studio to talk about modern wines, critic ratings and labels as well as touching on their histories and philosophies on wine making. Somewhere under the Sapphire, John Long and Pintler Mountains in Phillipsburg, Montana, hospitality reigns. At The Ranch at Rock Creek, an all-inclusive guest ranch the gift of service and anticipation welcomes every guest. It is place where the word ‘yes’ resounds. Sustainable. Local. Indigenous. The last word, “indigenous” is being used by Chef Sean Sherman to redirect the concept of Native American cuisine back to cooking and processing what is local and has been sustainable for centuries. 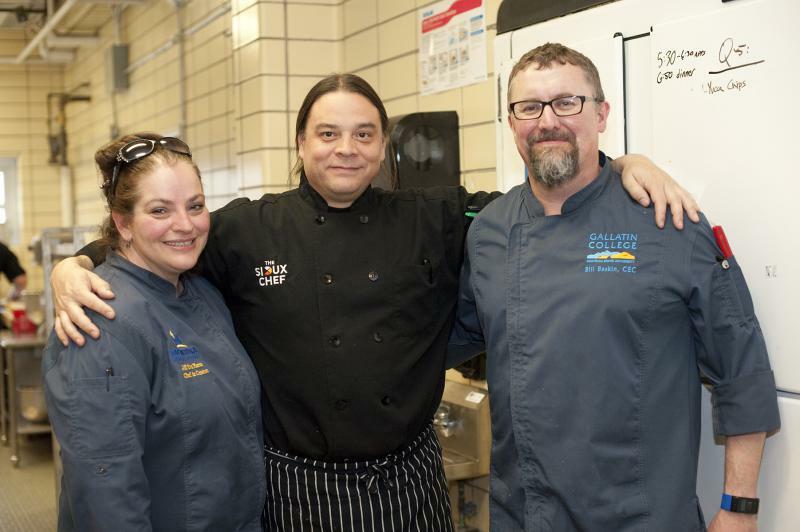 His book, co-authored with Beth Dooley, The Sioux Chef’s Indigenous Kitchen, just received the Best American Cookbook award from the James Beard Foundation. 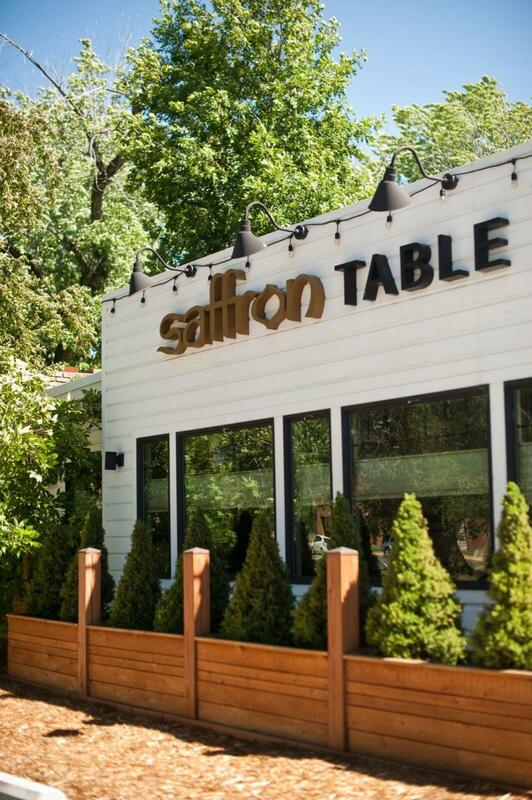 Andleeb Dawood shares the bold flavors of her childhood in Pakistan at her restaurant Saffron Table in Bozeman, Montana, in hopes of making her diners happy. Named after the most revered spice in the world, Dawood's restaurant highlights food honoring India and South Asia. With Chef Daniel Parris in the kitchen, the two have teamed up to broaden local palates by honoring traditional cuisine with some modern interpretations. 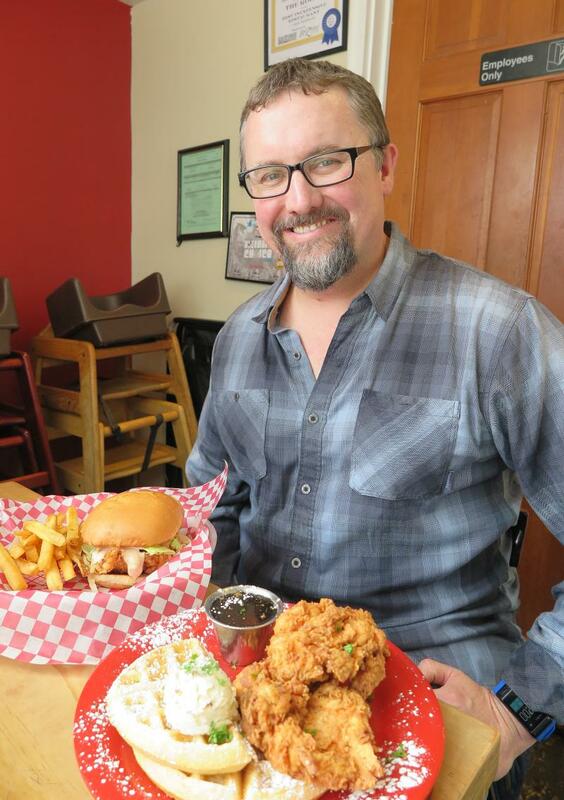 From Fried Chicken to Bibimbap, Chef Bill Baskin took me to two of his favorite eateries in Bozeman, Montana. He knows food after working at restaurants as The Fat Duck in London and Alinea in Chicago, and then heading kitchens at Lone Mountain Ranch in Big Sky and Open Range in Bozeman. 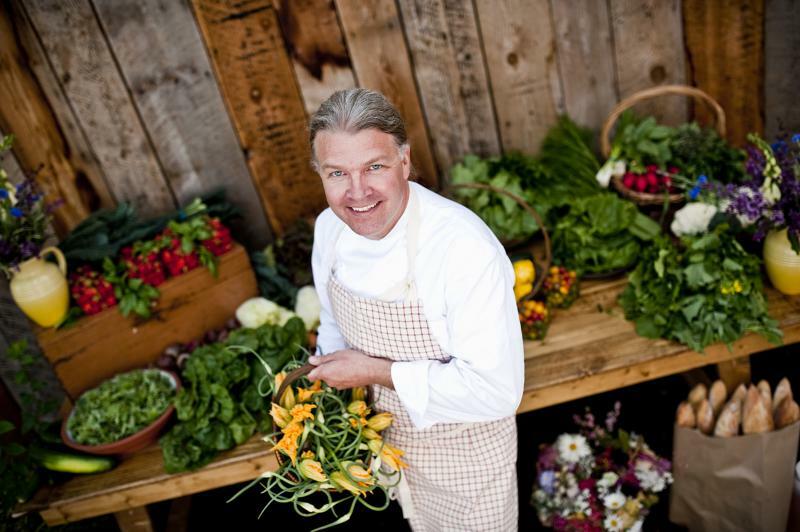 These days he is director of the culinary arts program at Gallatin College, a part of Montana State University. On Friday February 23, Walkers celebrated 25 years. Executive Chef Mike Callaghan returned to cook old favorites and John Roberts of Pan Blanco spirited the customers with Latin jazz. In downtown Billings, Walkers has renewed and rebranded. In 1993 Bill Honaker and his brother James opened up the downtown dining establishment named after their father, an OB-GYN in town. 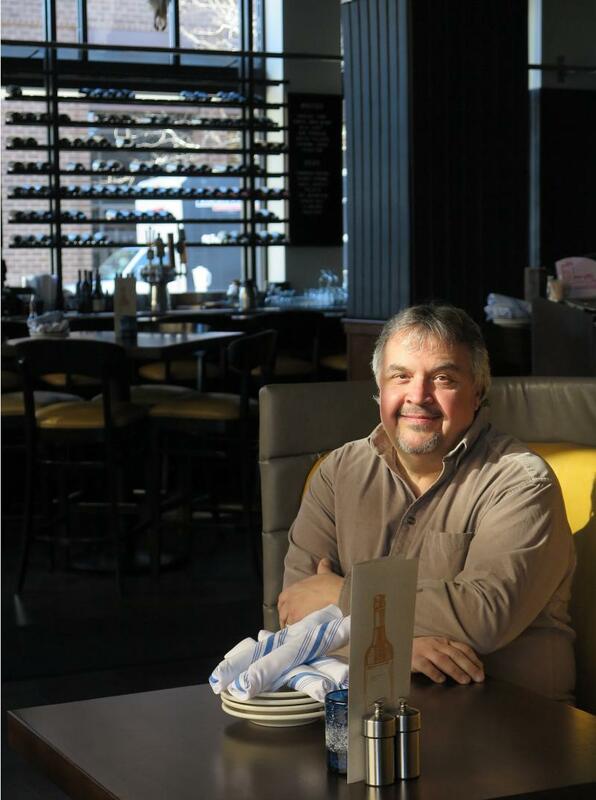 James has moved on to his own restaurant, Bistro Enzo located in the west end of town. At 4 o’clock on a snowy Tuesday afternoon, Teresa Twichel, Lexington Campbell, Jacy Powell and Kazmira Martinez are cooking away in Mrs. Haley Barker’s room. 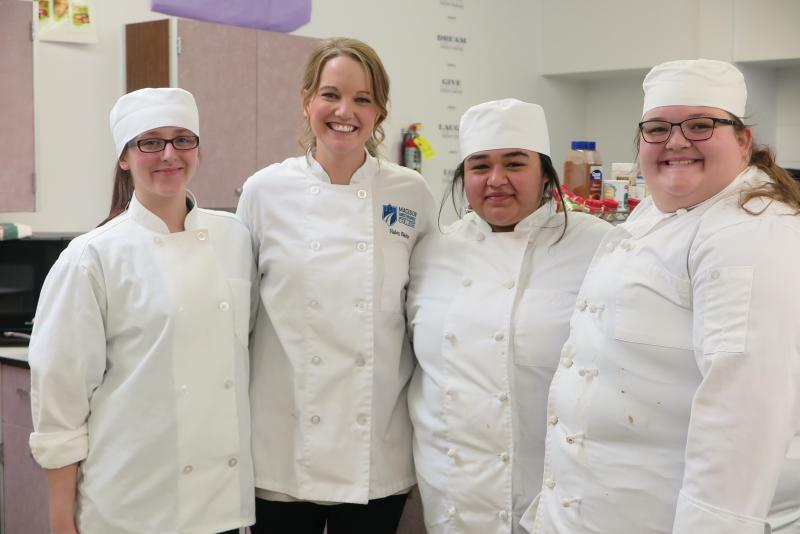 The team of four are preparing to compete at the Montana ProStart Invitational the weekend of March 3 and 4 in Missoula, Montana at Missoula College. The teams compete in two categories: Culinary and Management.